Radha Ramaswami Basu is the founder and CEO of iMerit, a company that delivers data and digital services to some of the most innovative companies in computer vision, natural language processing, eCommerce and machine learning, while effecting positive social and economic impact. Radha’s journey to iMerit is a result of her firm conviction in the potential of youth to be an integral force in powering transformative technologies in the digital economy, like driverless cars and cancer cell research. 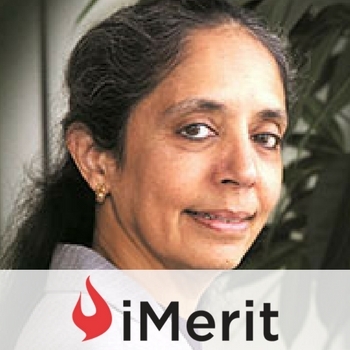 iMerit sources over 80% of its employees from rural and marginalized backgrounds and women form more than 50% of the workforce.